I'm looking for a job right now! 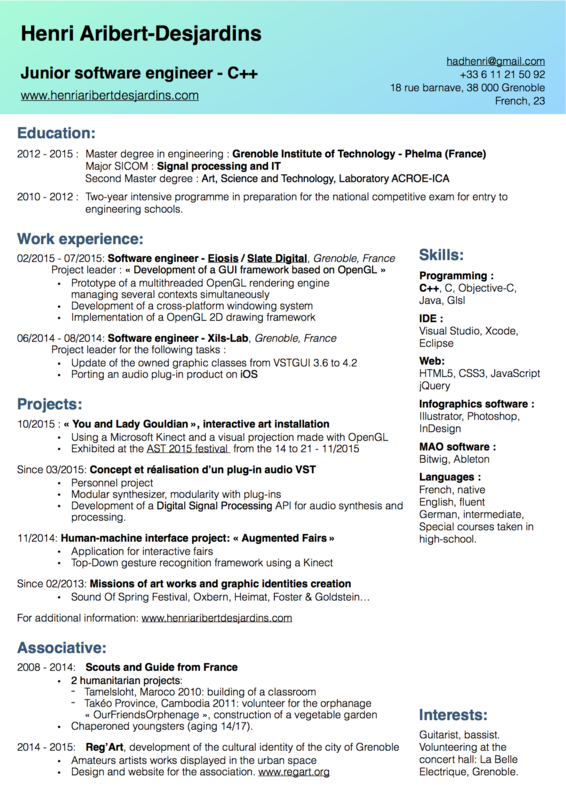 Check out my resume! 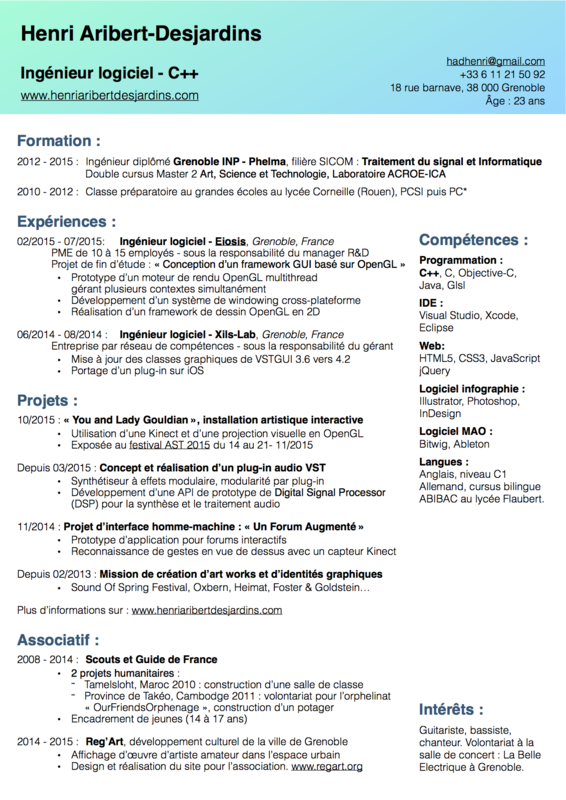 My resume is available in french or in english. Do not hesitate to share it of course.